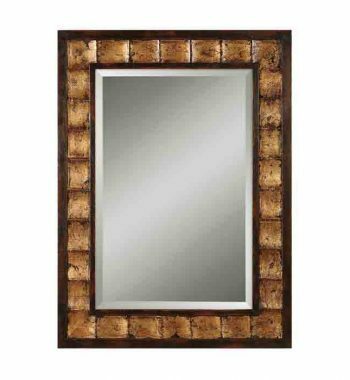 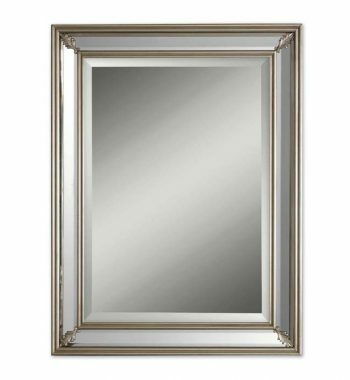 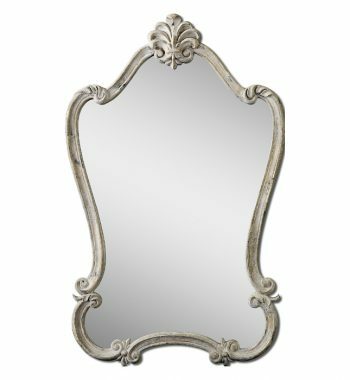 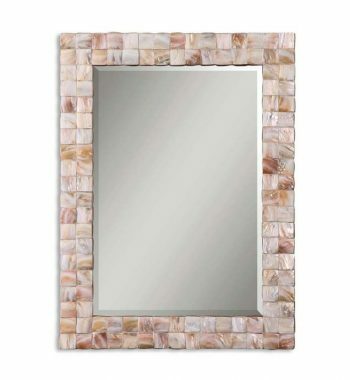 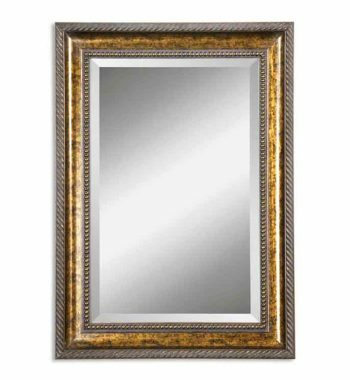 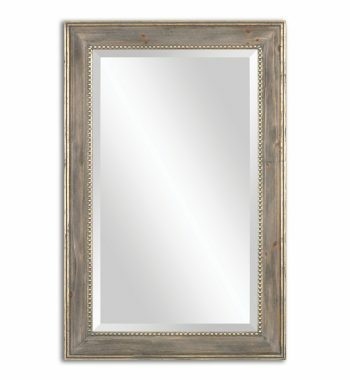 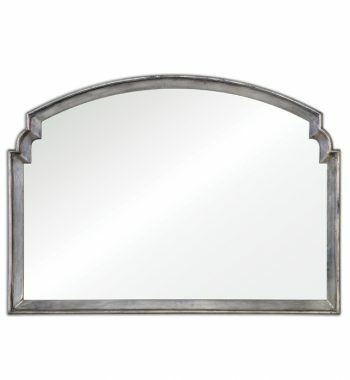 Uttermost Amberlyn Mirror. 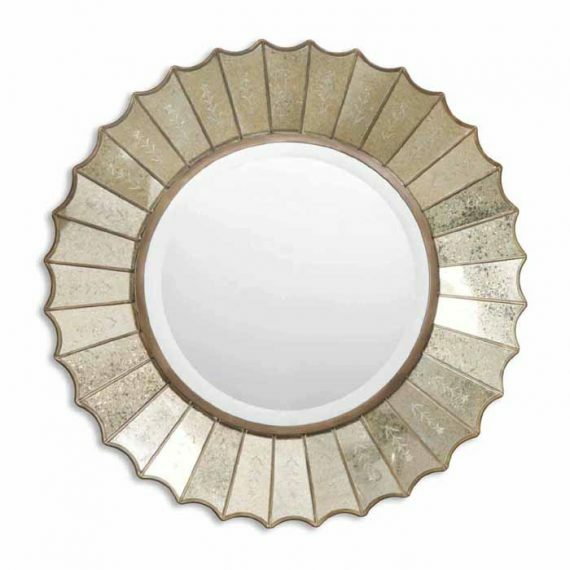 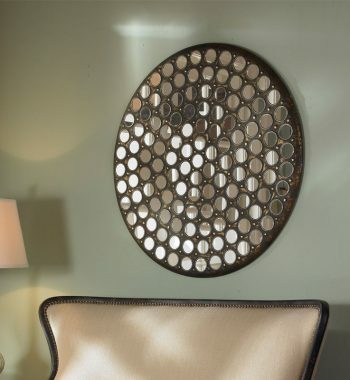 The round, center mirror with generous 1 1/4′ bevel, is surrounded by heavily antiqued gold leaf mirrors with burnished edges and antiqued, etched glass panels. 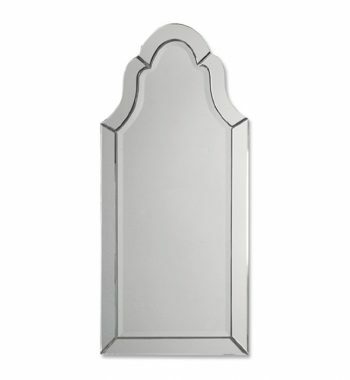 Via Della Silver Mirror. 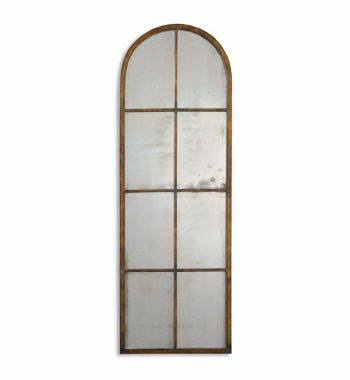 Frame is lightly antiqued silver leaf. 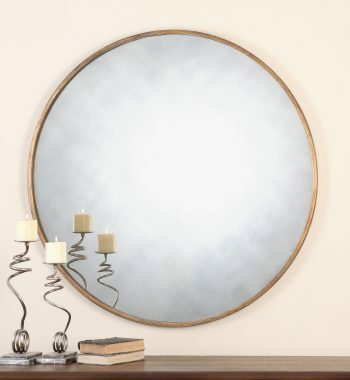 Junius Round Mirror. 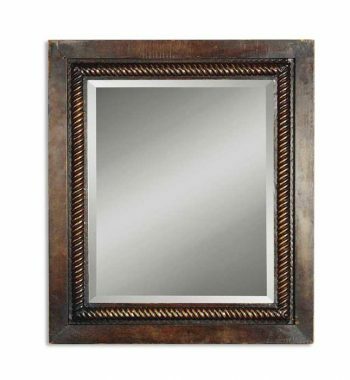 Narrow metal frame with a heavily antiqued gold leaf finish surround the antique style mirror.